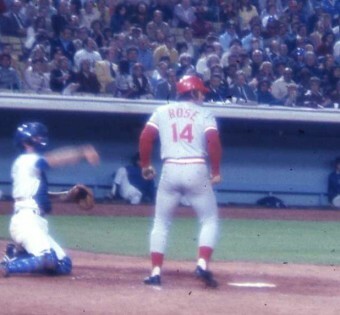 On this day in history, 1989, Sports Illustrated published an article alleging that Cincinnati Reds Coach and former star baseball player Pete Rose bet on Major League Baseball games. Pete Rose started managing in 1984, while he was still a player, and continued on managing until 1989, with the latter three years of that as just a manager and not a player/manager. He was placed on the permanently ineligible list in 1989 after allegations surfaced that he was betting on baseball games, including betting on Reds games, the team he was managing. Major League Baseball subsequently investigated these allegations and placed Rose on the permanently ineligible list when they found them to be true. In exchange for Rose voluntarily being placed on that list, Major League Baseball agreed not to formally reveal their findings on his gambling habits. However, it is known that he bet on at least 52 Reds games between 1986 and 1987, though there was never any evidence that he bet against the Reds, which I personally think would be the key point. Despite numerous appeals, Rose has remained on the permanently ineligible list to this day, which has kept him out of the Hall of Fame. Before 1991, Rose still would have been technically eligible for the Hall, but that year the HoF voters elected to ban those on the permanently ineligible list, likely due to Rose. Although officially banned from all MLB related events and activities, costing him millions in potential income, Rose was allowed to participate in the pregame events before Game 2 of the 1999 World Series. The ban was lifted for a night because Rose had been selected by fans to the “All-Century” team. It’s interesting that the Baseball Hall of Fame keeps people out due to gambling, via the permanently ineligible list ban, but not for cheating, even admitted cheating. For example, once his career was over, Hall of Famer Whitey Ford admitted that later in his career he had frequently cheated by doctoring baseballs. His favorite method was to mark up the ball using various sharp objects, such as his wedding ring. He also would have his catcher mark up the ball by sharpening a buckle on his shin guard and rubbing the ball against that before throwing it to Ford to pitch. Elston Howard, his catcher, also used the mud around the batter’s box to coat one side of the ball before giving it to Ford to throw. Another cheater who was celebrated for it and is in the Hall of Fame largely because of it is Gaylord Perry. Perry’s case was particularly amusing because everyone knew he was doctoring the baseballs (often with Vaseline), but nobody could catch him at it. He even admitted it in his 1974 autobiography Me and the Spitter. He also stated, “I’d always have it in at least two places, in case the umpires would ask me to wipe off one. I never wanted to be caught out there without anything. It wouldn’t be professional.” It wasn’t until 21 years into his career that on August 23, 1982, he was finally caught and removed from a game for it. 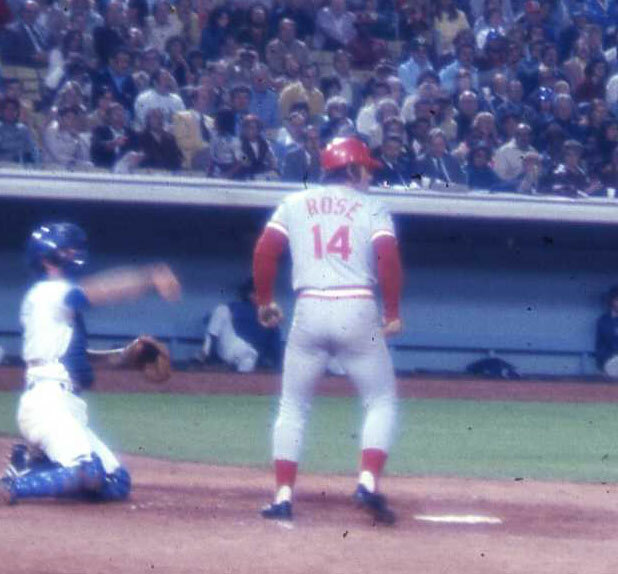 Rose started out his impressive career with a bang, winning the Rookie of the Year award that year, batting .272 with a .334 OBP while tallying 170 hits. From there, he went on to compile one of the most impressive “counting stat” careers in the history of the game, finishing his career as a player: first in hits (4256); first in games played (3562); first in runs scored by a switch hitter (2165); most doubles by a switch hitter (746); most singles (3215); most walks by a switch hitter (1566); most total bases by a switch hitter (5752); most consecutive seasons with 100 or more hits (23); and tied for most years with 200 hits (10, tied with Ichiro Suzuki who did it consecutively, unlike Rose, and just missed making it 11 straight in 2011 by 16 hits). In addition to those, Rose also added to his trophy case: three batting titles; one MVP; 17 All-Star game selections; and two Gold Glove awards. George Steinbrenner was also once placed on the permanently ineligible list. His banning came in 1990 under Commissioner Fay Vincent. Steinbrenner had hired a private investigator to try to find information that could be used to discredit Dave Winfield, who is now in the Hall of Fame. Steinbrenner was reinstated by Bud Selig in 1993 and allowed to continue running the Yankees. In the interim while he was banned, his son ran the organization. The only woman to ever have her name on the permanently ineligible list was Marge Schott. Schott owned the Cincinnati Reds at the time of her banning in 1996. Unlike others who’d gotten themselves on the list due to gambling, drugs, and the like, Schott got herself on the list primarily for racism. Among other things, Schott made a variety of derogatory comments about black people, Jews, Asians, gay people, etc. and was subsequently banned by Commissioner Bud Selig. She was reinstated two years later and continued running the Reds until 1999.